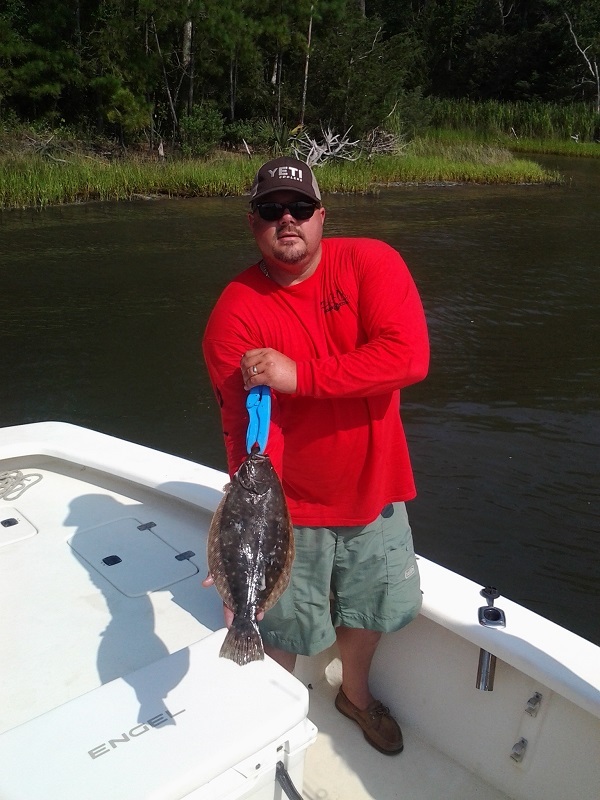 Fin-S Charters offers fishing charters in Morehead City, North Carolina. Based in the heart of the Crystal Coast we accommodate trips from Atlantic Beach, Emerald Isle and Beaufort. With all of this pristine coastline we can put you on the fish. Besides fishing the crystal coast offers great scenic trips looking for wild ponies and dolphin. Whether you want to enjoy a day with the family or a day fishing hard... Fin-S Charters has you covered! Rates start at $400. We have had a some weather the last couple weeks. HOT and WINDY!!! Although it has been hot we are still catching fish when the wind isn't blowing 20mph. There are spanish macs along the beaches, a few keeper flounder and reds in the marshes, a few sharks in the deep holes. 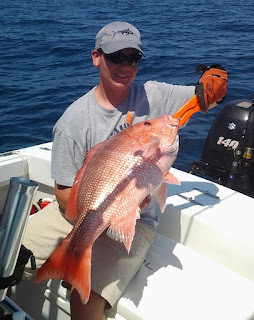 We made an offshore trip out the other day and had some grouper, amberjacks and are "endangered" red snapper. Here is one that was 29 1/2 inches we had to through back, breaks my heart.